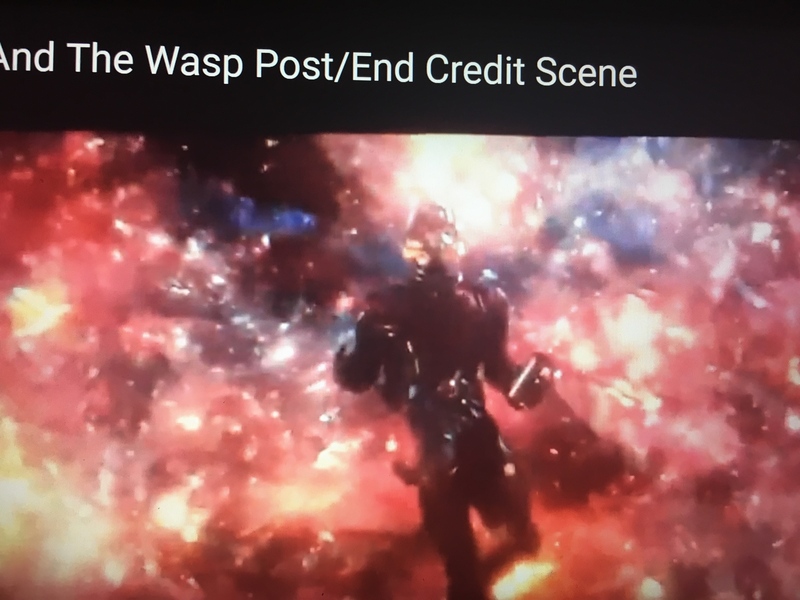 Reddit users have spotted a set of purple eyes that quickly flicker in the background at the point where Ant-Man gets trapped in the Quantum Realm following Thanos’ snap in Avengers: Infinity War (read here for more on how the two movies tie together). Me? I’m not convinced – but fans think they can spot either the Mad Titan himself, Thanos, or Doctor Strange villain Dormammu. Take a look for yourself in the image here, with the eyes appearing above Scott. If I had to choose one, I’d wager that’s Dormammu lurking in the background. Having already been banished from Earth by the Sorcerer Supreme via hilariously-clever time loop, there’s nothing to say the entity can’t rock up again in other realms and multiverses. Ant-Man having to fight his way out of the Quantum Realm *and* escape the clutches of Dormammu would make for an almighty beginning to Avengers 4, wouldn’t it? Or, it could be Thanos, lording it over all creation after his victory in Infinity War. Either way, it possibly spells trouble for the pint-sized hero and would probably be Marvel’s greatest blink-and-you’ll-miss-it Easter egg yet, even if it’s yet to be officially confirmed. 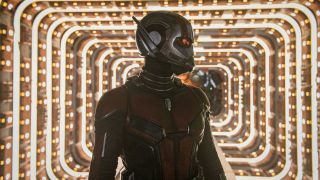 After you've planned your Ant-Man rewatch to see if this is the real deal, check out our list of upcoming movies - but I'm not guaranteeing any Thanos cameos.